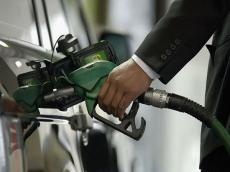 Prices for fuel and lubricants - liquefied gas, gasoline and diesel fuel - have increased in Tajikistan, Sputnik Tajikistan news agency reported. In particular, gasoline prices went up by 0.5 somoni and reached 7-7.2 somoni per liter. Diesel fuel prices went up by 0.4 somoni and reached 7.40 somoni per liter. Liquefied gas at gas filling stations of Dushanbe city in recent days has risen in price from 3.40 to 3.90-4 somoni per liter. The reason for the increase in prices, for example, for liquefied gas, may be related to the increase in prices for this product in Kazakhstan. Tajikistan imports from Kazakhstan about 70 percent of liquefied gas from the total volume of imports of this product. Tajikistan’s annual demand in liquefied gas is about 400,000 tons. More than 60 percent of car owners use liquefied gas in Tajikistan.